UK Style allowed me to be ahead of the times.. literally.. by sending me this paisley romper before it's available in stores. fantastic! i know my expression says otherwise.. why is my face being like that in both photos.. but anyways i do love it... it's comfy/lightweight/airy - this thing will get much usage. **and added new things to the store yesterday! Lovind that Chanel bag! Shoes were perfect for the romper, great oufit! You look gorgeous! I love the bag and your shoes! LOVE LOVE LOVE this look!! It's all perfect. The floral is made so unique with the belt and sandals... thanks for sharing, great inspiration!! Aahhh I love those MIU MIU´s! gorgeous outfit and amazing blog! I love the romper! And that belt/bag is amazing! The Chanel bag looks amazing on you!! And I love yout sandals! I love everything--the romper, the ring, the bag, the nails--great look! That romper is so cute! Love the chanel bag too! You're so cute. Now update again, please. cute! I love the romper on you. too bad no romper weather here for oh about two more months! ack! 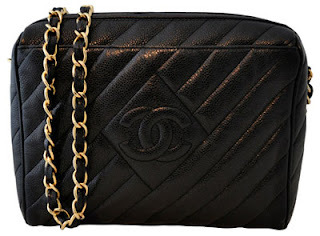 Love the belted Chanel bag too!